Watch live the surgery you interested in performed by Dr Nodas Kapositas M.D, PhD, Athens, Greece. Here, we perform breast lift surgery. You can see the breast markings prior to surgery live, and the necessary steps in order to achieve the final result. A case of breast enlargement for a 28 years-old woman with AA size. She wanted to enlarge to size C.
We used the infra-mammary incision and we placed via a sub-facial plane a 250 cc Cohesive I, medium profile silicone gel implant. Case I: Breast reduction/lift to the right side without any surgery to the left breast. Case II: In this case we did a breast augmentation to the right side and a breast reduction/lift to the left side. 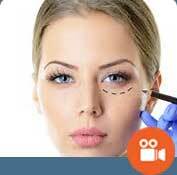 We demonstrate here a typical otoplasty operation with anterior cartilage scoring and a non-absorbable stitches of clear nylon. Gynecomastia surgery is very common operation between men. We demonstrate here a typical gynecomastia case class II. We remove the extra tissue through a typical Webster incision 3-9 and a subcutaneous mastectomy. 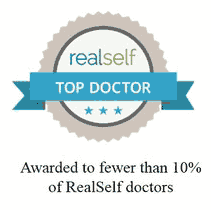 We demonstrate here a classical tummy tuck operation with a new umbilicus. This video includes a typical case of thigh lift after a severe weight loss beacause of bariatric surgery.We also did a liposuction to have optimal results.